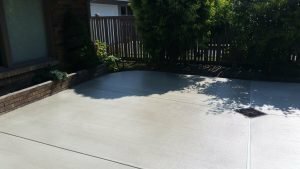 Here at Custom Concrete Contracting, we recently completed a driveway installation in Bellingham that’s a pretty good example of the type of customer-centered, detail-oriented work we like to do. This broom-finished driveway was a replacement of the customer’s original. The property owners were concerned about their existing landscaping, and they wanted us to be careful around their lovely flowers and bushes. Our crew members did a wonderful job during the installation of tending to their plants and even backfilling the edges with good soil when the job was complete. You can see from the photos that the homeowners’ beautiful landscaping is still in top form — like someone just snapped their fingers and magically replaced the old driveway with a new one. 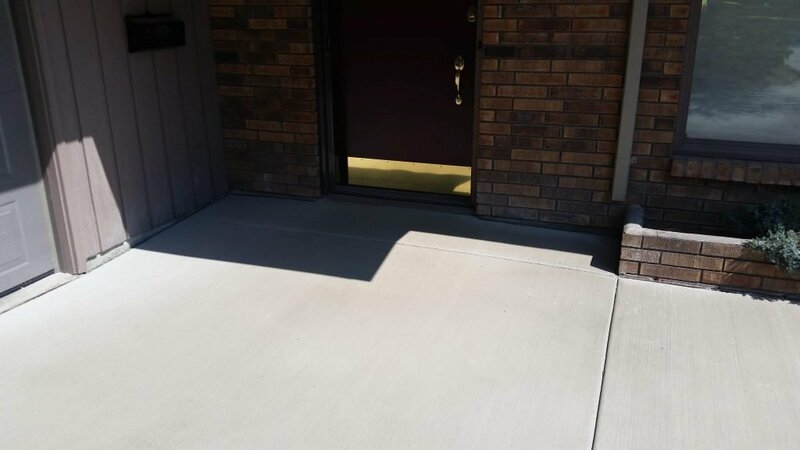 The home had a step-free entrance when we started, but our crews graded and smoothed the entrance even further to ensure a safe and easy transition from yard to home. 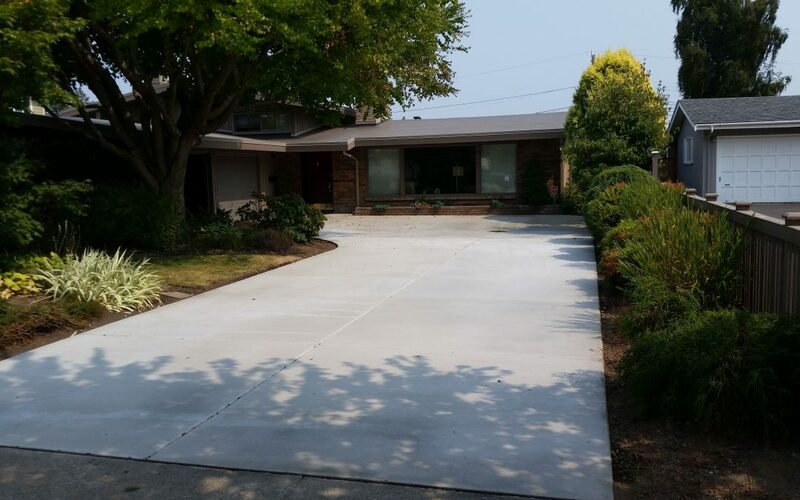 Custom Concrete’s installation experts also took great care in abutting the driveway to existing structural elements. Check out how nicely the driveway meets the brick planters around the edges. If you’ve ever poured concrete, you know it takes great care and precision to create clean junctions like that. Other elements of this job included expertly installed expansion joints, an integrated stormwater drain, sloping and grading to coax water away from the home (thus allowing for the step-free entrance mentioned above). 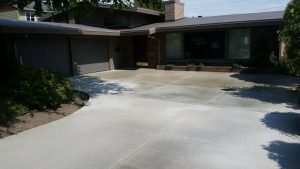 All in all, Custom Concrete’s expert crews were quite pleased with their work on this project — and, more importantly, the homeowners were pleased, too! If a broom-finished driveway isn’t your style, we’re experienced in a number of other types, too — including decorative, aggregate, colored and pervious options. Some homeowners even mix and match the options, such as putting pervious concrete in the main section to improve drainage while bordering the edges with a darker traditional concrete. Just get in touch to discuss your options, and we’ll take it from there. Concrete laborers: What do they do?